SEO landscape is in constant flux with new updates, trends, and strategies, and the emergence of platforms such as mobile making it incredibly important for enterprises to establish a coherent, scalable, and effective strategy. Adjusting SEO tactics and establishing a culture focused on embracing new tech and changes can transform digital marketing and make it easier for brands to reach their target audience. It will also ensure that they retain a competitive edge and rank on the first page of search engine listings such as Google. Modern businesses need to drive engagement on a daily basis through a variety of channels, and SEO is central to this aim. Mobile is the latest frontier for SEO and is having a huge impact on SERPs and the end-user experience. It is vital that enterprises tailor their websites and SEO strategies towards mobile due to the rise in “near me” searches and other local queries made on smartphones and mobile. Google has recently made changes to its algorithm in order to favor webpages that are mobile-friendly and has even included a notation next to these sites in search results to tell users whether they are optimized for mobile traffic. Laggards that continue to prioritize desktop users will suffer as a result as they will become less visible and find it more difficult to drive traffic. There has also been a blurring of the line between direct and organic search, an advancement in browsers, and the rise of apps. This is why anticipating changes in SEO and making the necessary amendments to strategies can really pay dividends. Leading travel agency WorldEscape is a prime case study for how to effectively manage and monitor an SEO strategy for long-term success. WorldEscape has its own in-house SEO team, which enables them to keep track of the latest trends and ensures they are always investing the necessary time into modern marketing. There are a number of other reasons why enterprises must always use the full range of SEO tools available to them, such as consistently being able to turn valuable leads into sales, and the fact that other competitors are also vying for those top spots in SERPs and optimizing their own campaigns. Notable changes in search user behavior and website analytics can also have a drastic impact on the relevance of content. 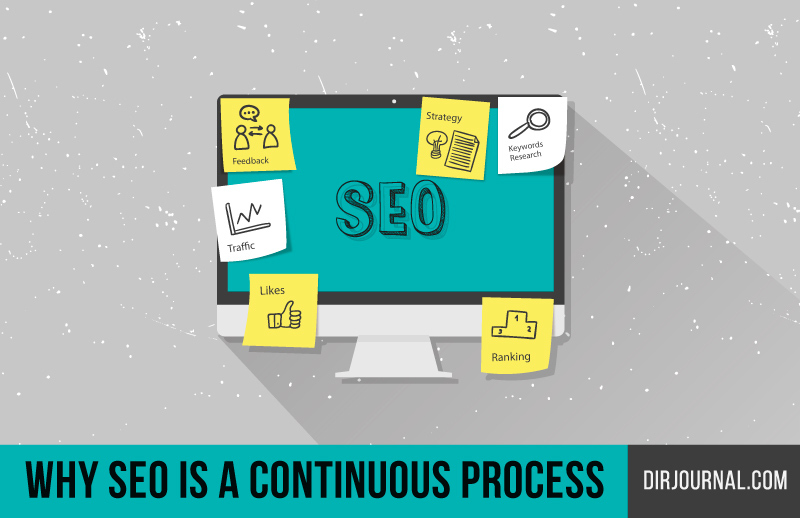 Embracing SEO as a continuous process will enable corporations to sustain a successful campaign. It is never a quick fix but a long-running, evolving, dynamic activity. Once the importance of sustained SEO has been recognized, enterprises can then work towards building a culture focused on SEO and its impact on digital marketing. To ensure a strategy is not outdated, take a step back and try to establish what the company goals and objectives are, and how exactly SEO can dovetail with these aims. The next step is to take into account the latest trends and changes, and how to use SEO staples such as content analysis, keywords, and competitor analysis to create an effective SEO strategy. The aim is to develop something that is flexible and can be easily adjusted depending on new target audiences, tech, and algorithm updates. Scalability is the buzzword in business in the digital age, and SEO is no different. The future of content and SEO is unknown, but businesses can take advantage of the tools and resources they have now to succeed. A modern strategy should attempt to optimize SEO for other search engines outside of Google, such as DuckDuckGo, Yahoo, and Bing to boost visibility. It is also important that keywords correspond with return on investment (ROI). This means that they need to be precise and must take into account the terms people are actually using in search rather than focusing on one or two static words from the outset. Content is also intertwined with SEO now; they don’t operate in silo as they did ten years ago. “Content is king” is a common phrase, and indicates that successful SEO must incorporate natural and focused media rather than keyword stuffing. Quality links are also crucial, as is social media and links. All these components are just part of the overall SEO picture, but each perform a crucial role. SEO is all about impressions, clicks, and conversions, but how exactly enterprises realize these metrics is constantly changing and requires a dynamic approach for best results. Building an SEO foundation using legitimate and effective strategies, while being vigilant about upcoming trends and changes, is the best way to succeed. After all, it is a marathon and not a sprint.